(Newser) – Almost four years after insurance exec Melissa Millan was fatally stabbed on a Connecticut jogging trail, a suspect walked into a police station and confessed to the killing, law enforcement sources say. 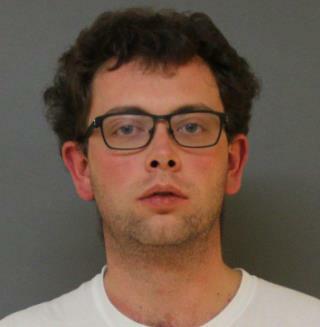 William Winters Leverett, 27, has been charged with murder and will appear in court Monday, police in Simsbury said in a press release. Police sources tell the Hartford Courant that Leverett, who arrived at the station accompanied by members of his church last week, said he could no longer live with what he had done. The sources say Leverett led police to where he had stashed items he had kept from the crime scene after what was apparently a random attack. Is he in this country legally? Newser doesn't say. Fox is disappointed. They were hoping this would be the subject of their "Why Black Men Are Bad" or "Illegals Are Coming To Kill Us" segment today.